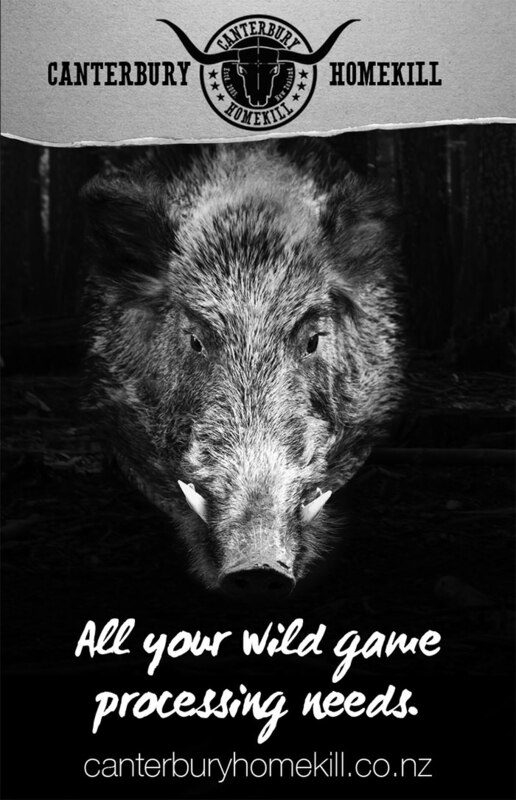 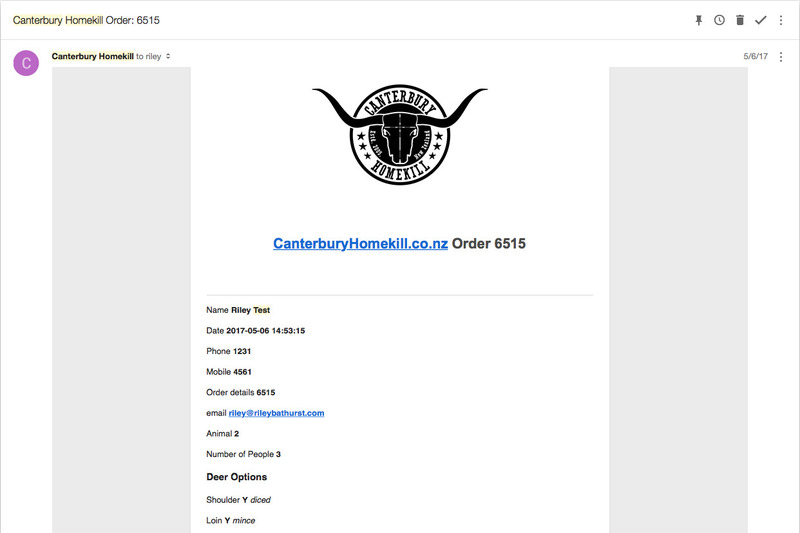 The order page for Canterbury Homekill lets customers pick many options around how an animal is to be butchered. 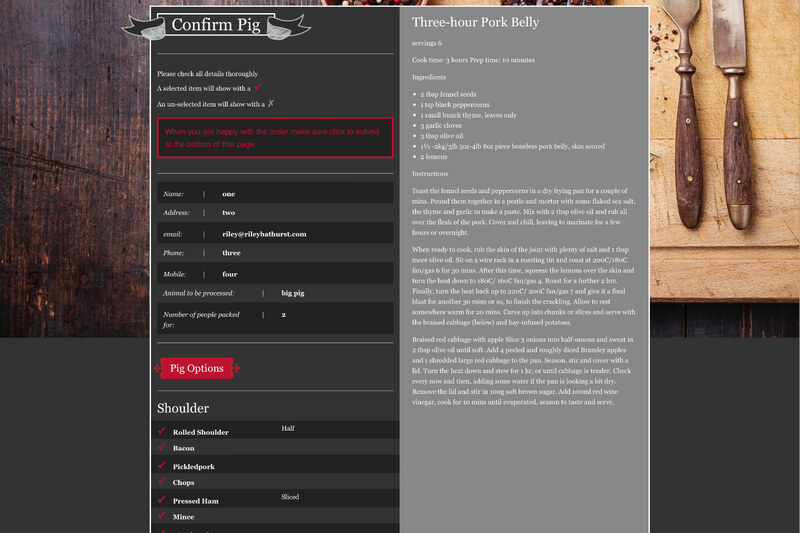 A select cut can either be chosen or not with a checkbox then dropdowns let them pick how the cut is handled if there are muliple ways that can be done. 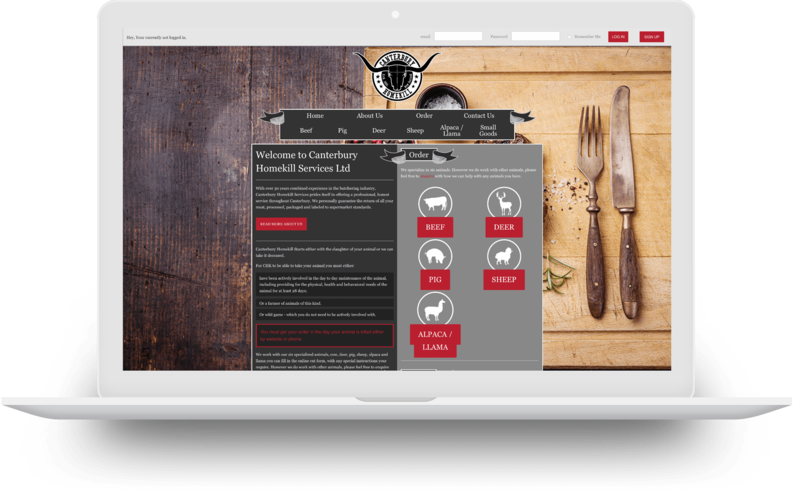 Adding a confirmation page to the Canterbury Homekill order process led to less confusion and misorders, as custom butchery doesn't lend itself to returns making sure the orders were correct really helped with custom relations. 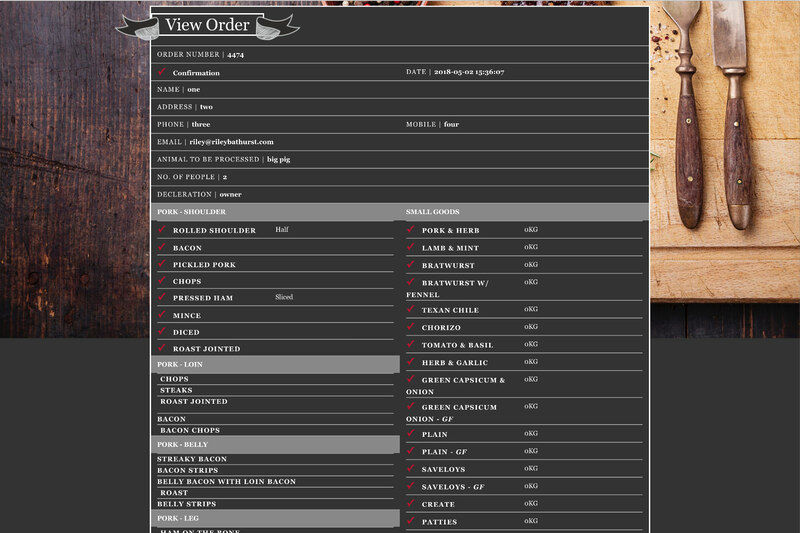 With a profile system, customers are able to look back on previous orders this often helps with reordering something they have been really happy with in the past. 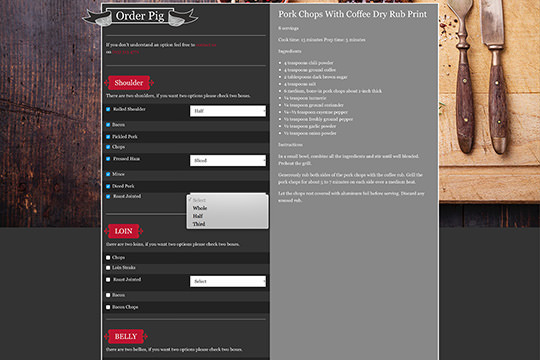 The confirmation emails sent out after a sucessful order lets customers know we have got the message and this is also another way of looking back on orders for reordering or confirmation of what they have in the freezer while not home.